Why? Texas woman shot dead while setting up garage sale (to pay for anniversary trip). 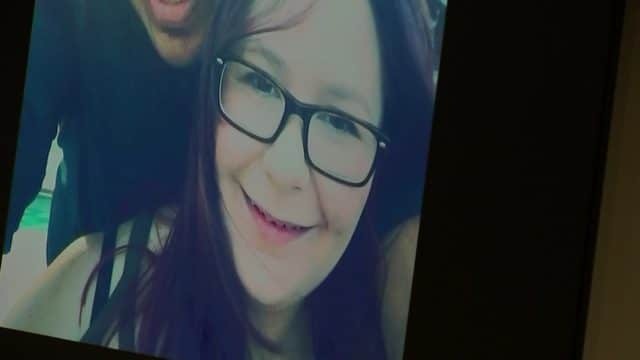 What led to Elizabeth Barraza a Tomball, Texas woman being shot dead as she set up for a garage sale to pay for an upcoming anniversary trip? A Texas woman has been shot dead as she set up a garage sale to help pay for an anniversary trip with her husband, authorities said. Elizabeth Barraza, 29, was in the driveway of her Tomball home around 7 a.m. Jan. 25 getting ready for the sale when someone emerged from a black pickup truck, approached her, exchanged some words before opening fire and taking off, Click 2 Houston reported. Barraza was pronounced dead at Memorial Hermann Hospital — the same facility where she and her husband, Sergio Barraza, had spent many hours volunteering and doing charity work — the distraught husband said at a news conference. Barraza’s dad, Bob Nuelle, said his daughter was trying to make a little more spending money ahead of the anniversary trip, which was scheduled for two days after her death. Neighbors said that they called 911 after hearing a series of shots. Yet to be necessarily understood is what motivated the shooter. The Harris County Sheriff’s Office is still investigating whether the shooting was a random or targeted attack, and whether the shooter was a man or woman. Crime Stoppers of Houston is offering a $20,000 reward for any information leading to the charging or arrest of the person behind the slaying. ‘You have my word we’ll do everything possible to bring justice to Elizabeth’s killer,’ Sheriff Ed Gonzalez told the station. Latest reports tell of ‘grainy’ surveillance footage capturing the suspect, who appears to be a woman dressed in a light colored robe. The video shows Barraza appearing to freeze at the sight of the shooter and taking a step back when they approach her, exchanging a few words. Just eight seconds pass before the suspect lifts their arm and shoots her at point-blank rage, firing three times. Barraza was an avid fan of Star Wars and Harry Potter. More than 100 loved ones and supporters waved lightsabers and wands at a memorial service held for her last week. Money raised through a GoFundMe page called “Justice for Liz” will be donated to the Peter Mayhew Foundation — named after the actor best known for portraying Chewbacca in the Star Wars series.